Let's start today with an addendum to the mostly Minnesota post from last week. Apparently, this is the latest rage--putting frozen blue jeans outside. Mark remembers spilling water on his jeans when he was outside doing chores on the farm. His jeans froze too, making it really hard to walk. Who would have thought it would be art? Last week we celebrated a 4-year-old birthday. Breakfast was in a town about an hour away and I had hitched a ride with Christa and the kids. On the way home, we stopped at Bravo Farms. They sell local produce and cheese they make themselves, among other things. They also have a great play area for the kids and a petting zoo, all in a rustic setting. Funny signs all over the place. Mark and I went for a drive Saturday afternoon. The clouds were just beautiful with the sun shining on them. Mark saw this t-shirt while eating lunch. I now have a little Legos sewing studio. 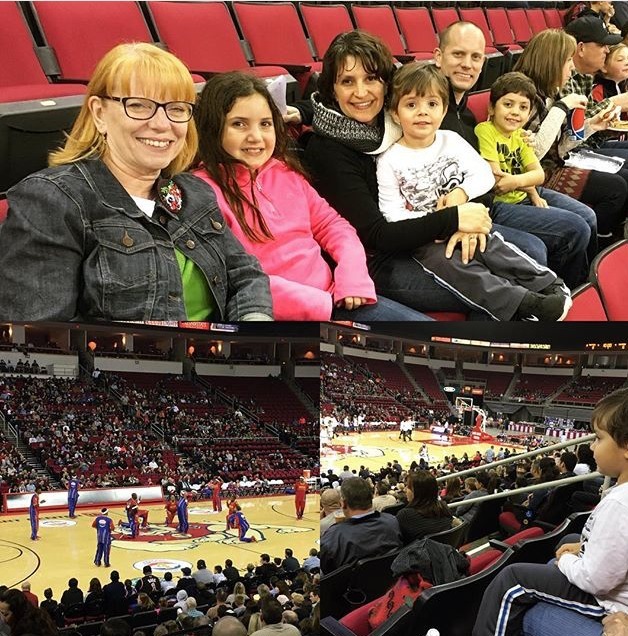 We went to the Harlem Globetrotters, always a fun show. And this is my feeling as January draws to a close. I just love the dump truck traffic jam! 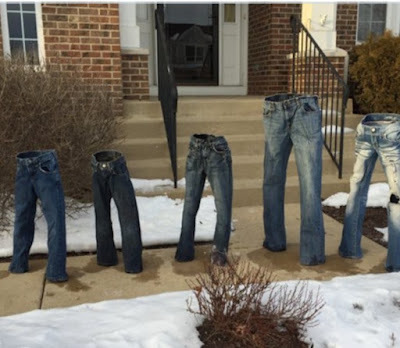 The jean craze is hilarious! Good 'ol Minnesota winters! what a fun place for the kids - my son would have loved those dump trucks! The jeans thing is too funny. 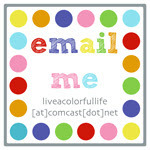 As for the final part of your post - we sent that around the office yesterday! I love that last sign! I think the whole 2015 year was a practice run, and it really started on 2016. 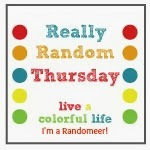 Beautiful signs, fun activities, humorous sayings--this post has it all! How did I miss this one. 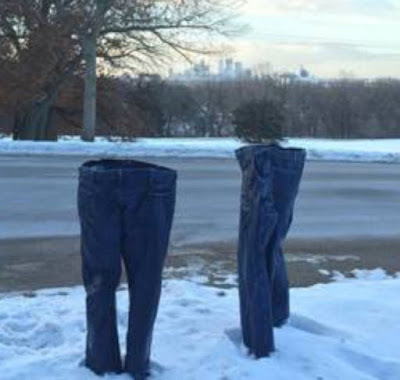 The frozen jeans are just too funny. We took our son to the globetrotters years ago. A good time. Love all the great signs too made me laugh. I've been thinking a lot about the practice month idea since talking to you. That was my January so now I'm all motivated for a real start.